Fitness testing is important to establish your strengths and weaknesses. This is done by comparing your test results to others in the form of normative "norm" tables. 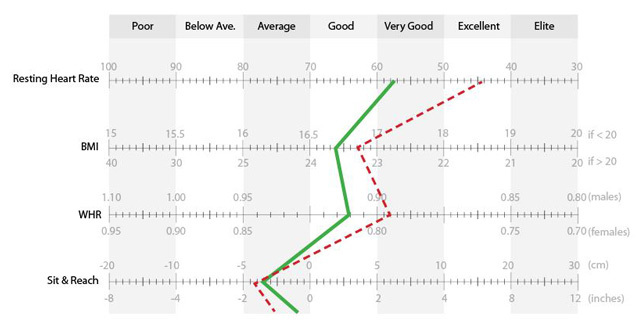 By seeing how your results relate to others you can see the areas which need improvement. By determining the areas to focus on, valuable training time can be used more efficiently. 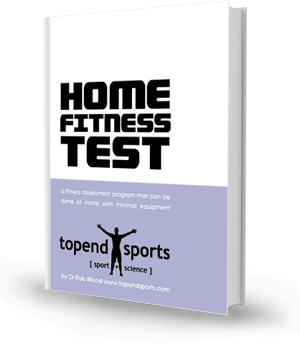 We have created a unique rating scale for use with the home fitness test, so you can clearly see where your strengths and weaknesses lie. See more about the Rating Scale.